Recently, there’s been a whole slew of information coming from Mars — a meteorite with organic compounds, findings from Curiosity that increase the likelihood that life once existed on the Red Planet, and now methane emissions that could suggest that life currently exists on Mars. All of that is a lot to wrap one’s mind around, so it’s easy to forget about NASA’s other Mars program — MAVEN (Mars Atmosphere and Volatile EvolutioN). MAVEN’s goal is to try and obtain information that will help scientists figure out where Mars’ atmosphere went. Recently, NASA released some preliminary information gathered by MAVEN that starts to detail the process by which Mars lost its atmosphere, which likely involves solar wind. 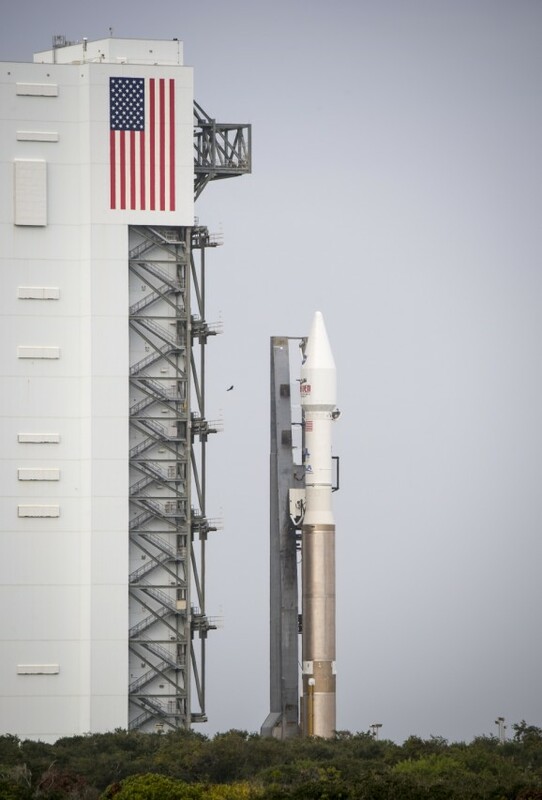 If the weather cooperates, tomorrow will mark another step in our long journey toward the Red Planet, with the launch of MAVEN. Mars has been an object of fascination for thousands of years. Our good friend Copernicus was the first person to postulate that Mars was a planet like Earth, which was one of the details in the heliocentric Solar System theory he published in 1543. From then on, astronomers have been studying the planet, and in 1965, spacecraft and probes joined the party. Mars has raised a multitude of questions, such as whether water exists there; whether little green aliens or some other life form exists or existed there; whether its moons are captured asteroids; and whether the planet could support human life. 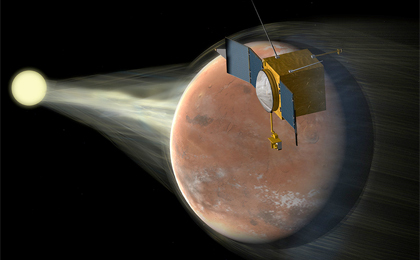 Key to that last question is Mars’s atmosphere, which is exactly what MAVEN will study. Mars has changed drastically over time. It used to be warm and wet, likely supporting microbes that may have begun life on Earth, but now it’s a cold and barren desert. How did that happen? Mars used to have a thick, cloud-producing atmosphere, but over time, the atmosphere has all but vanished. Where did it go? Carl Sagan believes it’s trapped in the soil of Mars and that it might even be possible to release the atmosphere back into the sky, which would be one aspect of terraforming. But we don’t know, which is why we’re sending MAVEN to find out. If you saw the 55th anniversary infographic of NASA’s planned missions through 2030, you will have already heard about MAVEN, the Mars Atmosphere and Volatile Evolution spacecraft. Scheduled for launch in November 2013, MAVEN was transported in a metal shipping container from Buckley Air Force Base in Colorado to NASA’s Kennedy Space Center in Florida last week to undergo final preparations. I wonder what the shipping charges were? 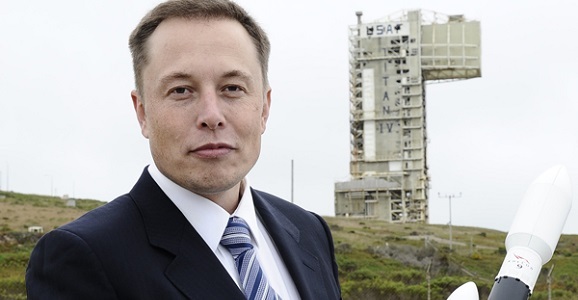 The man thinks big, and in that spirit, at the same private event in the Pacific Northwest, Musk, in town to launch SpaceX Seattle, laid out an ambitious plan to use 4000 satellites to create a network that will deliver high-speed Internet anywhere across the globe. This is actually something he initially talked about at back in November. 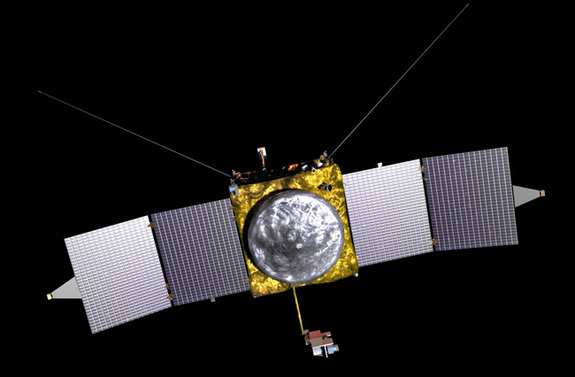 It’s been a big week for Mars, with the arrival of both NASA’s Maven and India’s Mars Orbiter Mission (also known as MOM) probe. Maven will try to gather information about Mars’ atmosphere (namely, where it went), and we’ll definitely be keeping tabs on what it uncovers, but at the moment, the arrival of MOM is bigger news. 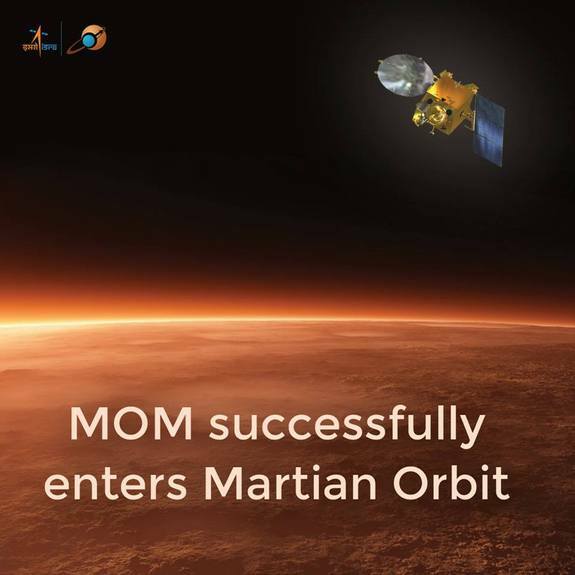 India is the first Asian country to reach Mars, and only the third space program to do so. It’s also the first country to successfully reach Mars on its first attempt, which indicates the arrival of a new space power. MOM entered Martian orbit yesterday, which may not seem as grand an achievement as actually landing on the planet’s surface. However, almost half of all attempts to reach the Red Planet’s orbit have failed, largely due to malfunctions that occur when spacecraft begin complicated positional maneuvering. India’s success here is indicative of a solid space program, and puts the country ahead of China when it comes to exploring Mars. We’ve all seen, or at least heard of, those cheap knock offs of popular American movies, like Turkish Star Wars, though I personally prefer Turkish Indiana Jones. 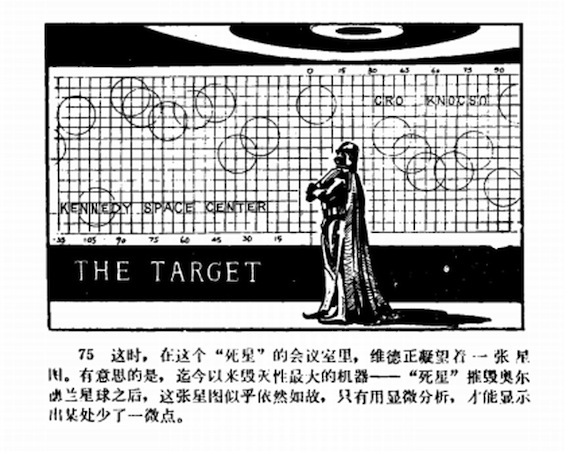 In the early 1980s, when Star Wars mania was sweeping across the globe, several Chinese publishers put out their own comic book versions of the property. According to some newly unearthed copies of one of these obscure pieces of Star Wars lore, Darth Vader had what seems to be an unhealthy fascination with the state of Florida. Who knew? These images come from the South China Daily Post, and there is a great deal of creative license with the story, which explains why the scariest Sith lord of all time happens to be obsessed with the destruction of NASA’s Kennedy Space Center. You can see it on featured prominently on the map of places he intends to vaporize. Why, well, that’s the question of the day. Unless I missed that part in A New Hope, which is possible I guess, I’ve only seen the movie a couple dozen times, it’s possible that little tidbit slipped by me.